Nissan currently has about 287 sales outlets in the country, which the company plans to increase to 500 touchpoints in the next three years. Nissan India has announced that the company will expand its sales network to 500 locations in the country by 2021. 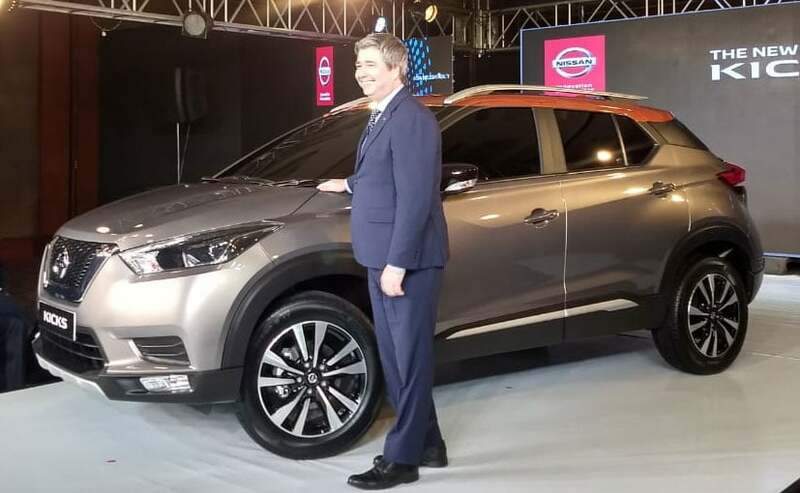 At the recent unveiling of the company's newest SUV, Nissan Kicks, Thomas Kuehl, President Nissan India, said that the company aims to double its sales network in India in the next three years. Currently, the company has about 287 touchpoints in the country, which the company plans to increase to 500 touchpoints. These sales outlets will include both, Nissan and Datsun brand showrooms. Talking about the company plan for network expansion in India, Kuehl said, "When you want to have a strong brand, you can only get this done with a strong network. Even as we go into digitalisation, we will have our network very clear in front of us, we are going into touchpoints strategy. And with our two brands, I think we have an edge over all our challenger brands." Kuehl was also open about what went wrong in the company's older network strategy and pointing out the flaws, he added, "Before we were very confused. We tried to cater, with all the brands, everywhere, and nobody could understand what is Datsun and what is Nissan. Now are very very clear. Now we have volume mass (Datsun) and mainstream premium (Nissan), now we are catering to it and putting it into our network development." Talking about how the company current dealership investors, Thomas Kuehl said, "I was very impressed with our investors. What we did in the last 12 months was we let even our investors talk to our board members directly, so that the board knows not only from us but also from the market, and from the consumer, how much they are in love with Nissan. What was Nissan doing right, and where we are wrong, and that is supporting us, as we also need the head quarter's support." Nissan India is currently set to launch its new compact SUC Kicks in India, in January 2019. The new Kicks SUV will be the first product to kickstart the company's new strategy for India, which the carmaker has termed as Nissan 2.0. In India, the Nissan Kicks will rival the likes of Hyundai Creta and the Renault Captur.